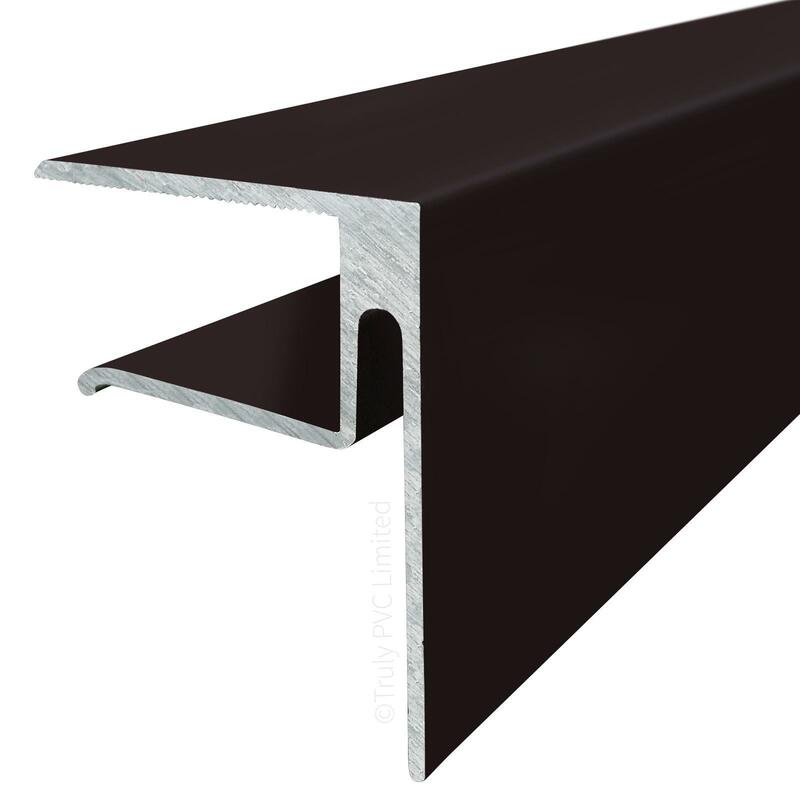 Product information "16mm Aluminium F-Section"
Strong, aluminium f-section extrusion with durable powder-coating. 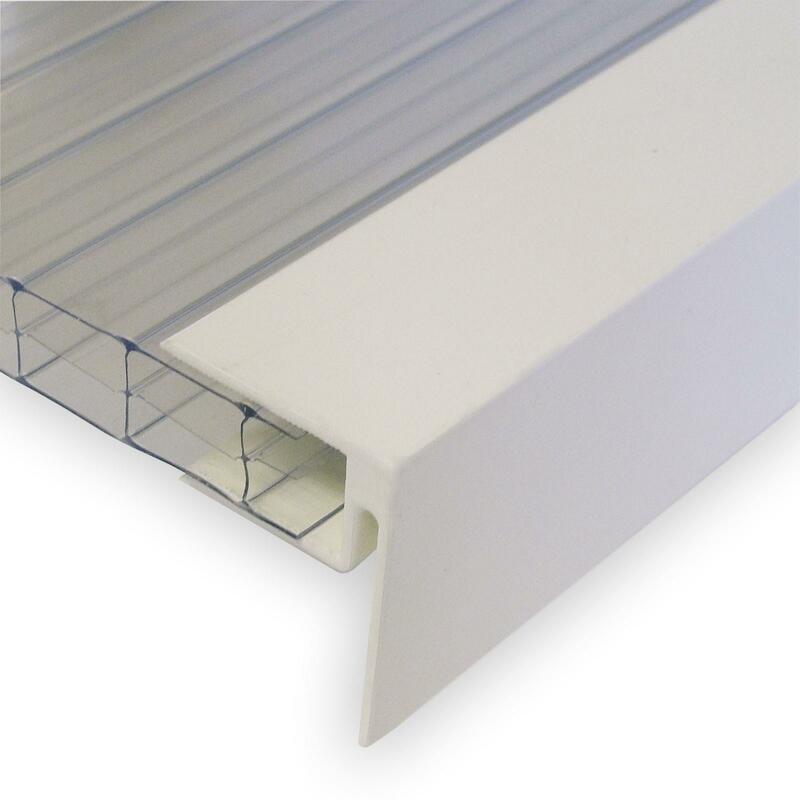 Available to suite 10mm polycarbonate and can be used with any snap-down or screw-down system for sealing and securing polycarbonate at gable end and wall abutment. Features a substantial drip face that discourages water ingress and offers greater coverage when used on a gable end, while providing a high upstand when turned upside down for use as a wall bar. * Used with Brown Snap-Tight and Sunwood Screw-Down but noticably lighter than the Dark Brown of ALUKAP-XR bars. 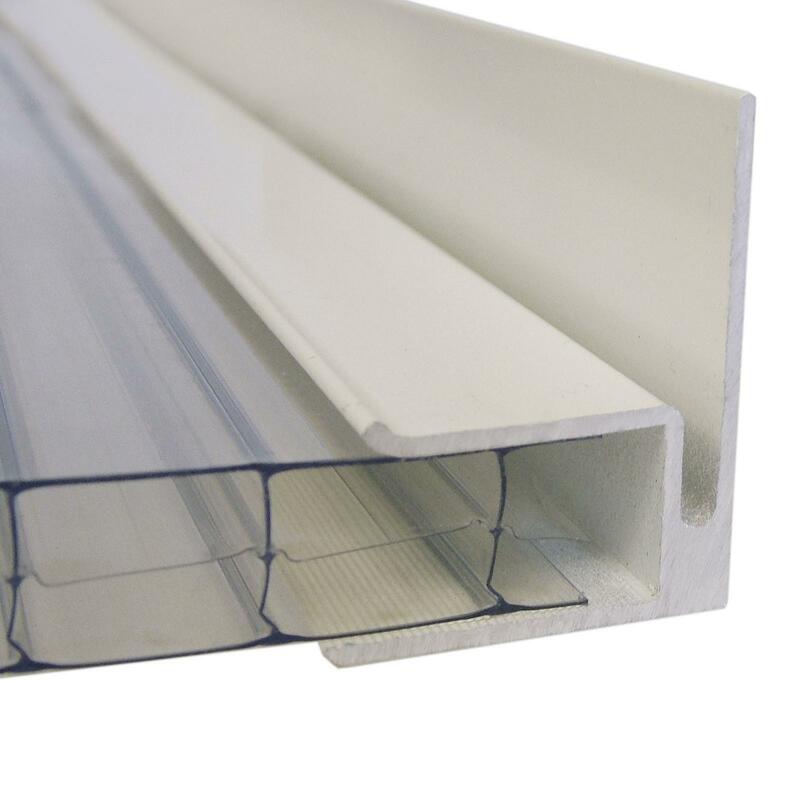 This 10mm F Section is suitable for 10mm polycarbonate sheets - the following table provides size and weight information for this and other F Sections. 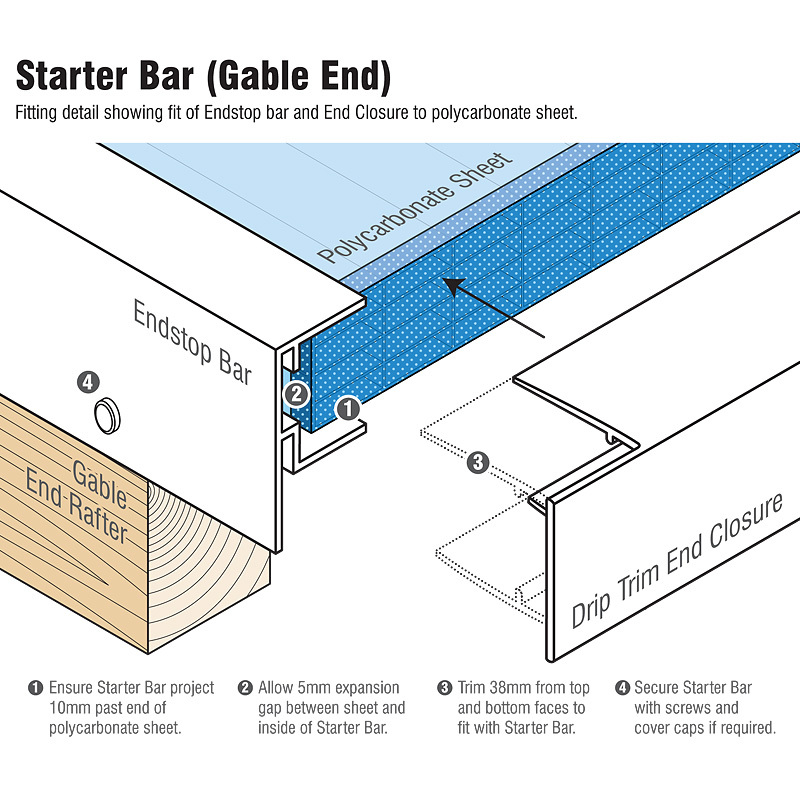 When using as a Starter Bar on gable end, the bar is used with drip face pointing downwards and outwards, with underside of bottom face resting on gable timber rafter. 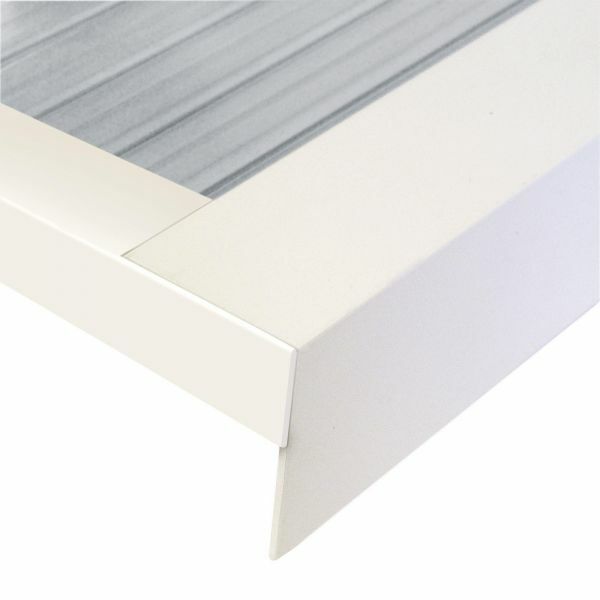 Cut Starter Bar slightly longer than polycarbonate sheets and drill fixing holes through the drip as required. Fit to the polycarbonate sheet with sealant applied to underside of bottom face and press firmly down onto gable rafter. Screwed through pre-drilled fixing holes to secure and fit polycarbonate end closure, once it has been cut back to fit around Starter Bar. 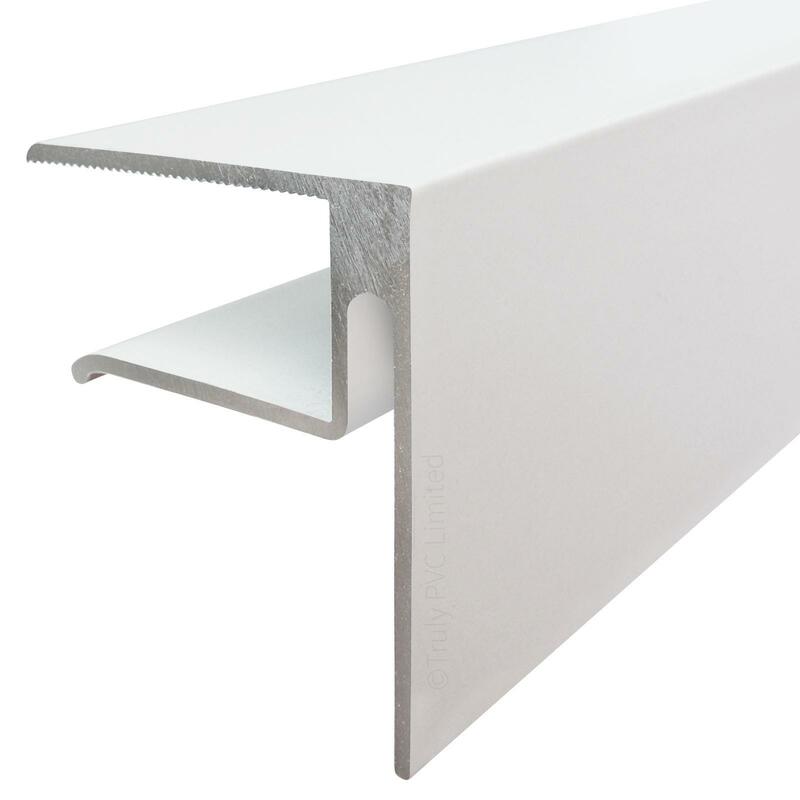 When using as a Starter Bar for abutting a wall, the bar should be turned so that the 'F' is on it's head with the long length acting as an upstand against the wall. What would have been the top will then rest on the timber rafter. Cut Starter Bar slightly longer than polycarbonate sheets and drill fixing holes through the drip which will act as an upstand. Drill fixing holes in wall, in-line with holes in upstand. If using nylon sleaves, insert in fixing holes, before applying sealant to back of upstand and underside of upturned bar. Push bar firmly into place and secure with fixings to wall. Finish by fitting end closure, once it has been cut back to fit around Starter Bar. 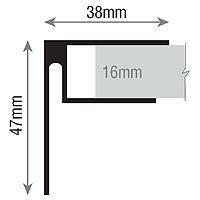 Related links to "16mm Aluminium F-Section"
Customer review for "16mm Aluminium F-Section"